NASA's planet-hunting TESS mission just launched last April on a rocket Space X Falcon 9, but it is already making promising discoveries. According to asteroseismologists at Iowa State University, data collected by TESS has led to the discovery of a new planet in Saturn size. A team of asteroseismologists – astronomers studying seismic waves, also called "starquakes" – have found and characterized the first planet identified by TESS with a host star with measurable oscillations. 1; and is described as a "hot Saturn" in a scientific paper written by a team of 141 astronomers to be published in the Astronomical Journal. The planet is the same size as Saturn and is very close to its star and completes a circulation of only 14 days, creating a high surface temperature. The team decided TOI-197.01 to be about 5 billion years old and slightly heavier and bigger than the sun. It is a gas planet with a radius about nine times that of Earth that makes it about the same size as Saturn. It is also the 1 / 13th density and about 60 times the Earth's mass. "TOI-197 gives a first glimpse of TESS & # 39; strong potential to characterize exoplanets by asteroseismology," wrote the astronomers in their paper. "This is the first bucketful of water from the data slam we are coming from TESS," said physics and astronomy professor Steve Kawaler. TESS – Transiting Exoplanet Survey Satellite and a successor to NASA's Kepler Space Telescope – launched from the River Cape Canaveral Air Force Station on April 18, 2018. Its primary mission is to find planets outside our social system, called exoplanets. After two years, TESS scanned 85 percent of the sky using four cameras. 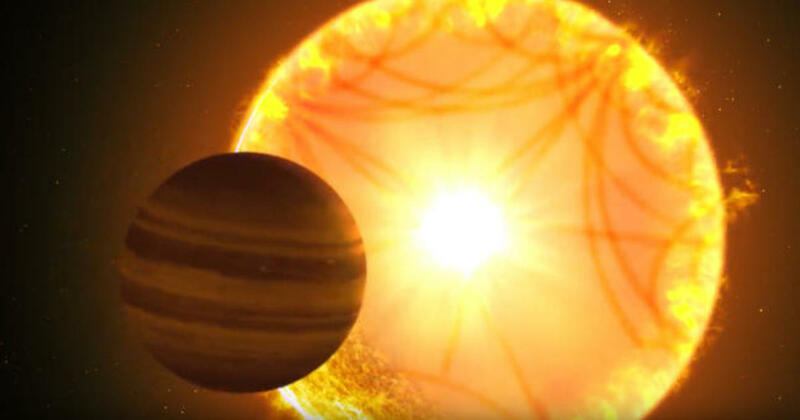 The goal is to identify planets that could support life. Astronomers are looking for stars that possess relatively small, earth-like planets that encircle in their habitable zones at distances that allow water to exist as a liquid – a requirement of life as it is known on earth. This week, astronomers created a list published in the Astrophysical Journal Letters of 408 stars that seem most capable of supporting planets in the residential zone. "Missions like TESS help us learn to learn so we can finally answer the question, are we alone?" said Paul Hertz director of astrophysics at NASA's headquarters, following the TESS launch. "Or do we just have the best first class property in the galaxy?"